New York - The United Nations Economic and Social Council (ECOSOC) elected on Thursday, by acclamation, Morocco’s permanent representative to the United Nations Omar Hilale as its Vice-president at the first meeting of its 2019 session. The 54-member Council — which serves as the principal organ for the socioeconomic and related work of the United Nations — elected three Vice?Presidents: Omar Hilale (Morocco) from the African States, Teodoro Lopez Locsin, Jr. (Philippines) from the Asia-Pacific States and Tore Hattrem (Norway) from the Western European and other States. 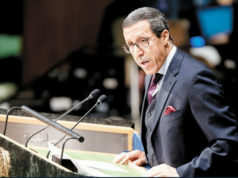 New York – The United Nations Economic and Social Council (ECOSOC) elected on Thursday, by acclamation, Morocco’s permanent representative to the United Nations Omar Hilale as its Vice-president at the first meeting of its 2019 session. The 54-member Council — which serves as the principal organ for the socioeconomic and related work of the United Nations — elected three Vice?Presidents: Omar Hilale (Morocco) from the African States, Teodoro Lopez Locsin, Jr. (Philippines) from the Asia-Pacific States and Tore Hattrem (Norway) from the Western European and other States. The Economic and Social Council also elected, by acclamation, Inga Rhonda King (Saint Vincent and the Grenadines) as its new President and adopted its provisional agenda and other organizational matters for its upcoming session. 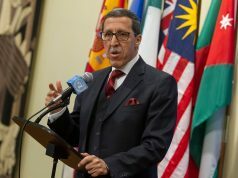 The choice of the Moroccan ambassador is a sign of confidence and support from the international community and from the countries of Africa’s sub-regional group. 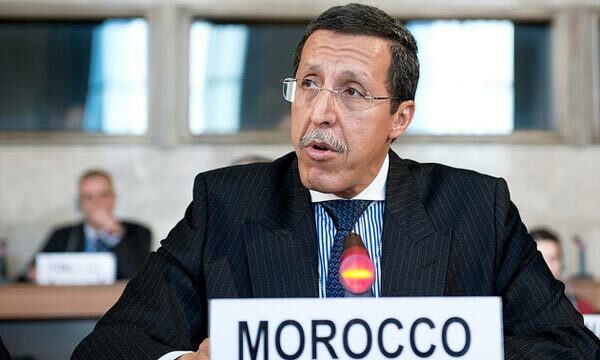 This appointment is also a recognition of the efforts made by Morocco in the implementation of the 2030 Agenda and in the achievement of the Sustainable Development Goals. Indeed, this appointment will also be an opportunity to consolidate the vision of HM King Mohammed VI marking the firm commitment of the Kingdom to the emergence and sustainable development of the African continent. 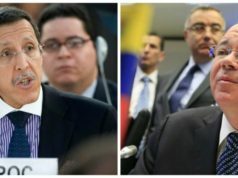 UN: Omar Hilale Rebukes Venezuelan Rep.